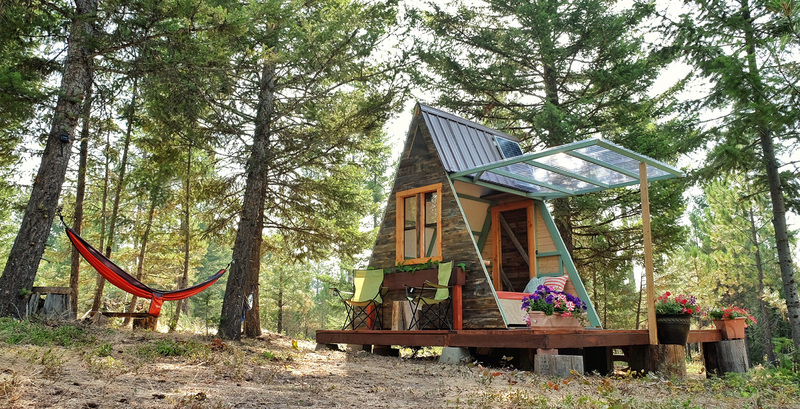 If you’ve ever dreamed of building your own affordable tiny house you’ve gotta check out this cozy solar-powered cabin in Missoula, Montana that cost just $700 to build. 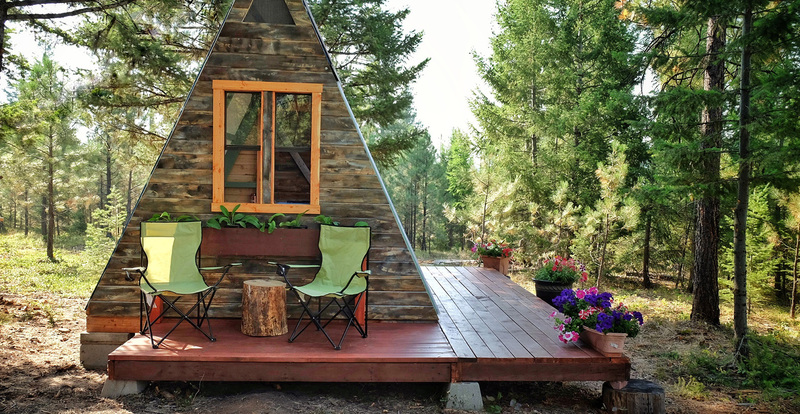 Photographer Alla Ponomareva and her husband Garrett bought plans for the A-frame cabin from well-known tiny house enthusiast Derek Diedricksen and customized the design to fit their needs. 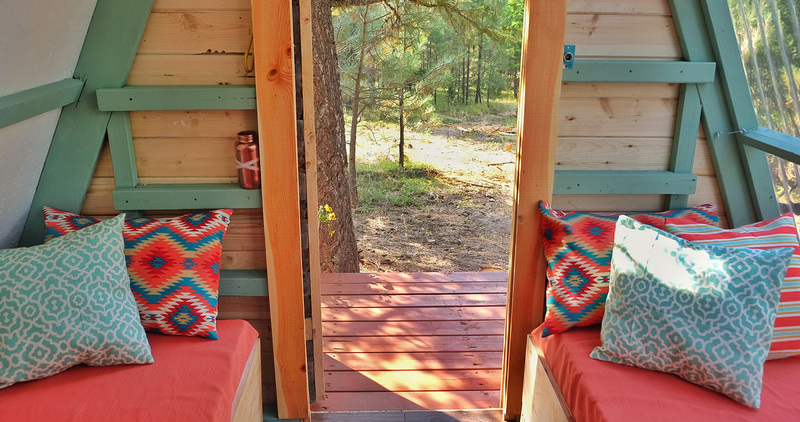 The couple built the 80-foot cabin by themselves in only three weeks. They slightly modified the original plan and relied heavily on reused and upcycled elements – including window frames, boards, nails, and roofing. 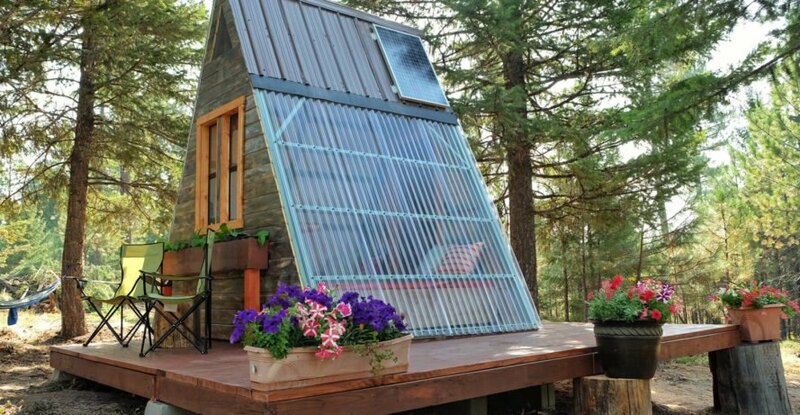 Related: Author Builds Tiny Solar-Powered Off Grid Cabin for Under $2,000! They transformed an aged log into a rustic countertop. Plastic sheeting covers a portion of a wall to provide additional natural light. It can be lifted upwards to provide a connection to the surroundings. The cabin is perfect size for two people, and it includes two single beds, shelving and a camping stove. A solar panel mounted on the roof can provide enough electricity to power smartphones and other small devices. 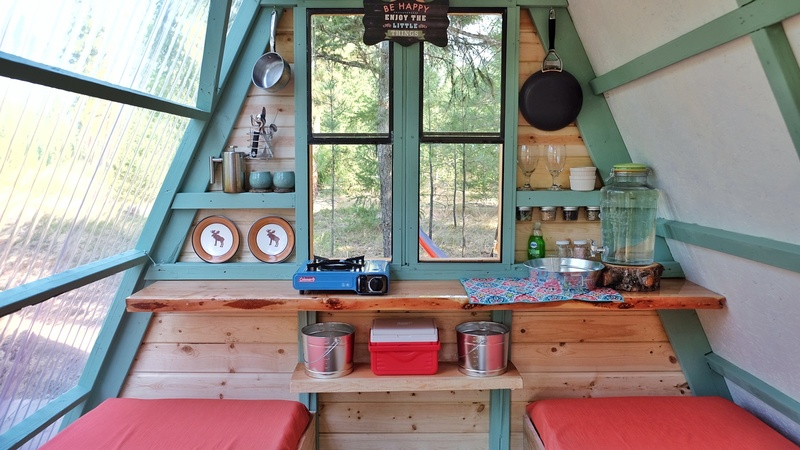 Anyone dreaming of building their own affordable tiny cabin should check out this solar-powered cozy retreat photographer Alla Ponomareva and her husband Garrett built in Missoula, Montana, for around $700. They bought plans for the A-frame cabin from well-known tiny house enthusiast Derek Diedricksen and customized the design to fit their needs. 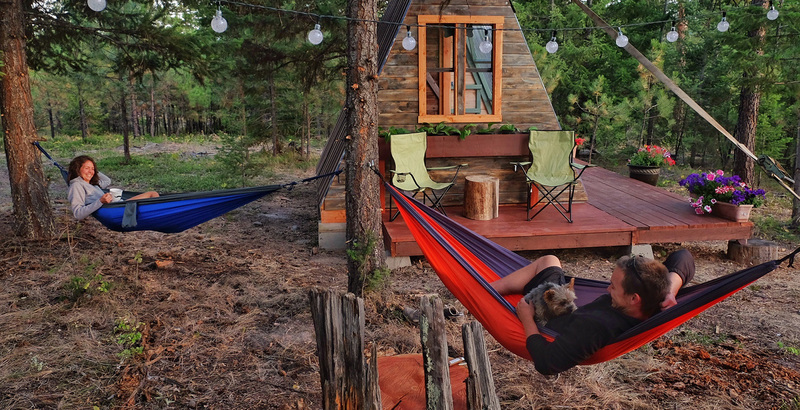 he couple built the 80-foot cabin by themselves in only three weeks. hey slightly modified the original plan and relied heavily on reused and upcycled elements, including window frames, boards, nails, and roofing. They transformed an aged log into a rustic countertop. 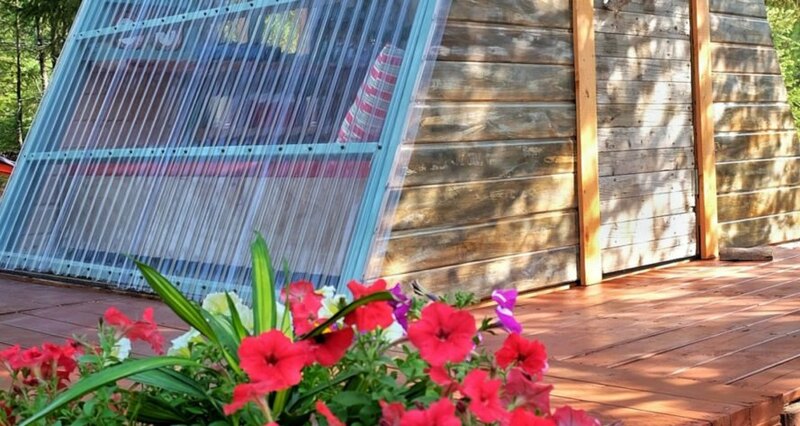 Plastic sheeting covers a portion of a wall to provide additional natural light. It can be lifted upwards to provide a connection to the surroundings. 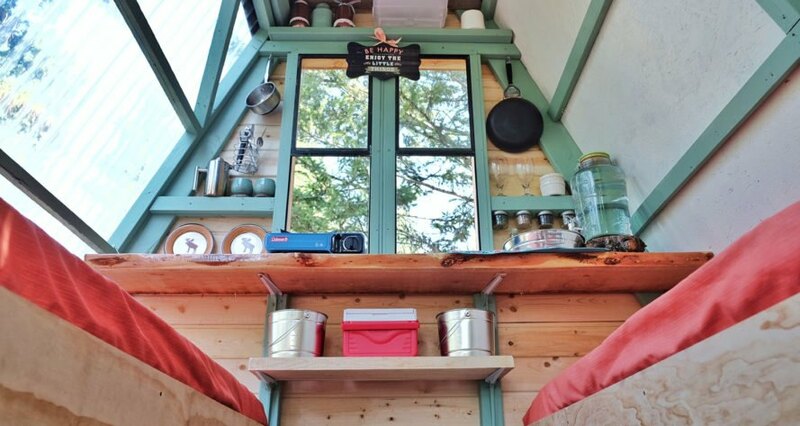 The cabin is perfect size for two people– it includes two single beds, shelving and a camping stove. A solar panel mounted on the roof can provide enough electricity to power smartphones and similar devices.